This is another question which perhaps seems unnecessary to address, because the answer might be deemed obvious. Our audience would be anyone who is unsaved, i.e. not a Christian, right? Yes, that’s true, and yes, that’s obvious. My specific focus for this article, however, is what we know about this group of people. Not so much from a standpoint of what we might glean from hanging around them and getting to know them better (which can be very helpful), but more-so from what God’s Word tells us about who they are and what’s going on inside. I will simply be hitting a few highlights from Scripture regarding what God tells us about the unbeliever. These elements are crucial for us to keep in mind when considering sharing our faith. This means that on their own, they are not capable of discerning truth, because of their own sin nature. Our discussions with them are largely spiritually-based, and not raw academic arguments. We should never treat them as simply uninformed. They perceive themselves to be very wise, but God says their thinking is actually foolish. He’s not simply resorting to name-calling when He says, “they became fools”… He’s describing their thinking process in general. ​​As I’ve written in previous articles and present in many of my talks, it’s not really about the “facts”, since facts don’t speak for themselves. They all have to be interpreted to give them any kind of real or significant meaning. The way we interpret facts is by using what we already believe… our “starting point”. (Just another reason why we changed the name of our ministry.) A better approach than just throwing facts back and forth, is to demonstrate that the Christian worldview (or starting point) is the only one capable of consistently and accurately making sense of facts we observe in the world around us. 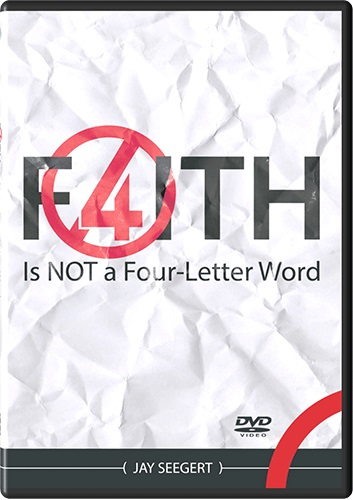 If you want further assistance in using this approach, I would highly recommend our “​Faith is Not a Four-Letter Word” DVD. Next month (Should you share your faith? Part 4) we will be wrapping-up this mini-series by addressing the question “How do we go about sharing?” We will provide a lot of very important, practical advice to help you be as effective as possible in your evangelism!